"It's all about the VIEW!" LOCATION, Location, location... TOP OF THE PARK... vive la diff'rence! 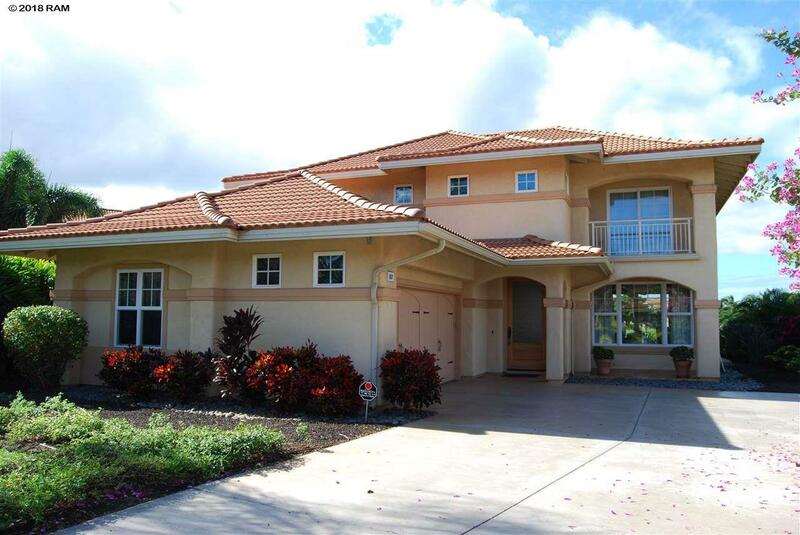 True 4 bedroom 3 full bathroom premium park-lot home which enjoys DIRECT ocean, island and mountain views from both INSIDE and OUTSIDE and from ALL of its rooms. 2017 $250k complete renovation showcases quality materials, finishes and re-design. Located at the top of the 3.5 acre park in the least trafficked and most quiet part of the community. No road OR early morning golf course maintenance noise here. All new central air conditioning, light and bright expanded kitchen with additional new cabinetry, Kitchen Aid appliances, dual dishwashers, double pantries, quartz countertops and onyx backsplash, stone and solid, wide plank dark wood flooring throughout, (no carpeting) onyx mosaic stair risers, custom closets, added storage, central vacuum, state of the art security system and so much more! One bedroom down and three bedrooms up. 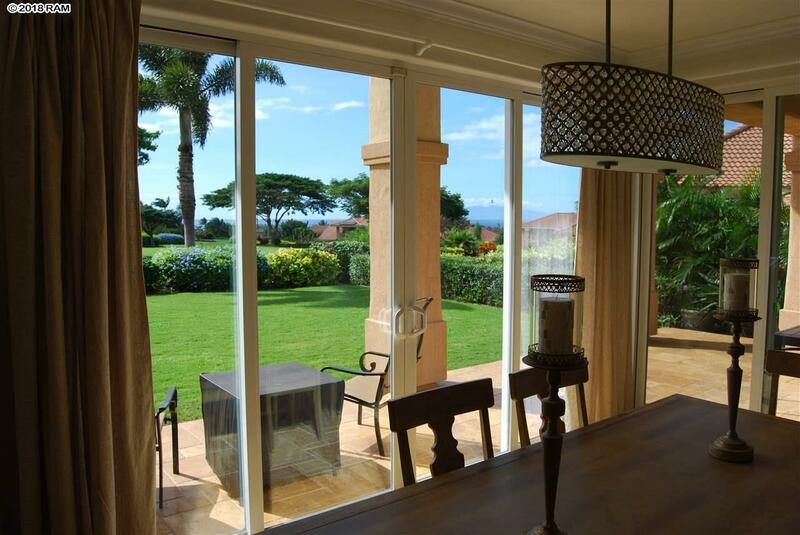 Master with hipped roof vaulted ceiling and not one, but two balconies... One towards the park, ocean, Lanai and the West Maui mountains. The other, towards the golf course and Haleakala (occasionally snow covered). When only the BEST will do Could be available furnished! Perfection in location, quality and craftsmanship. 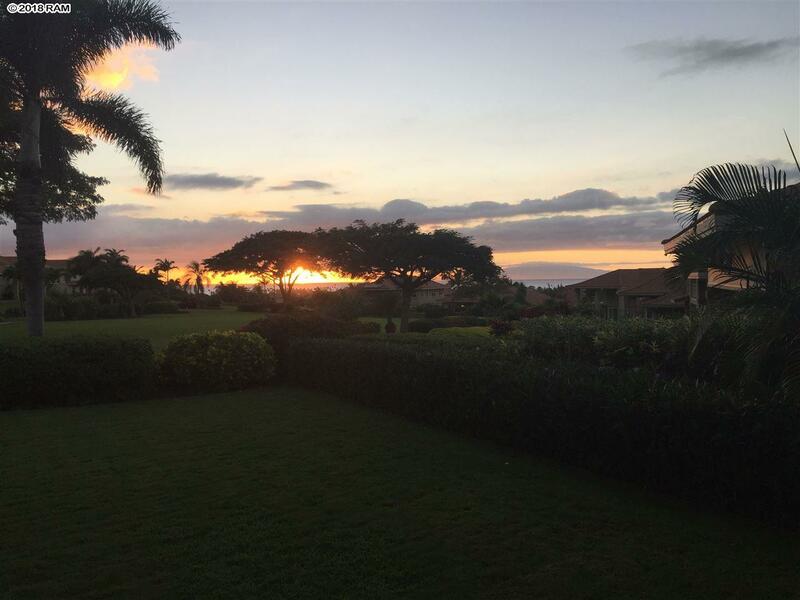 Hokulani Golf Villas, a gated pet-friendly community surrounded by the Maui Nui Golf Course is convenient to shopping, restaurants, schools and many of the top ranked beaches worldwide. Community features include an active clubhouse, barbecues adjacent to its pristinely perched Infinity Edge waterfall pool and spa pavilion. 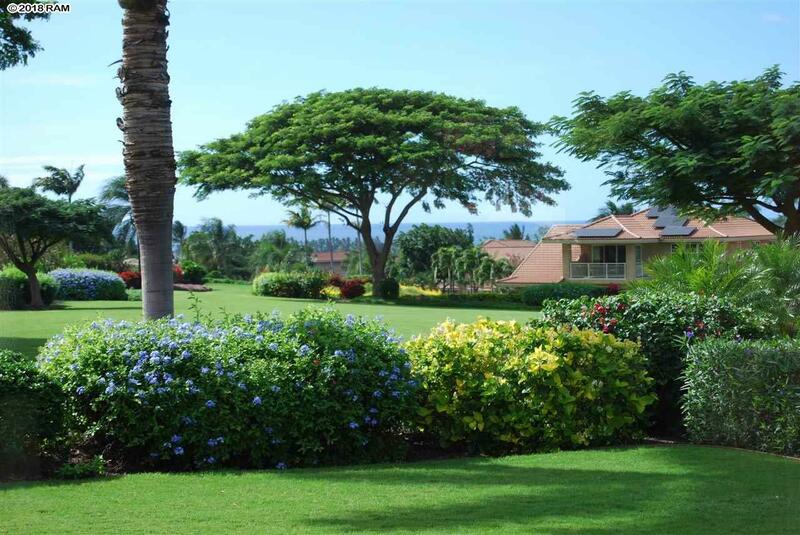 Experience the best of South Maui living!